Is HS2 a vital rail link or an expensive extravagance? Ralph Oliver offers his point of view. Mitch Barnes suggests a few more ways of acquiring that abandoned model that desperately needs a new home. 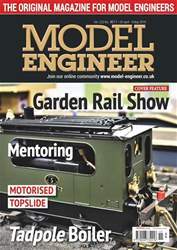 Graham Sadler introduces the lathe tailstock and discusses the problem of backlash and how to overcome it. 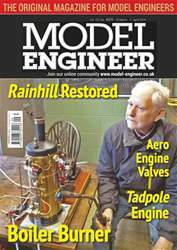 Stephen Wessel explains how you can do electroforming at home and shows how he used the process to make the water jackets for his ENV aero engine. Martin Wallis concludes his description of last year’s road scene with an account of his visit to the Great Dorset Steam Fair. 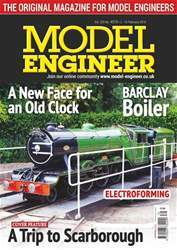 Terence Holland considers the design of a new boiler for his Barclay well tank. 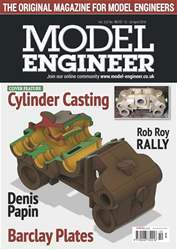 Peter King continues his account of the trials and tribulations of a CNC learner driver. Chris Rayward adds the hinges and hasps to his LNWR tender tool boxes. John Whales completes his improvements to the kit-built GWR 14XX by attending to the boiler fittings, smokebox and ashpan. James Buxton explains how he resurrected a mantlepiece clock by re-enameling its face. Roger Backhouse spends a day out at Scarborough’s North Bay Railway. 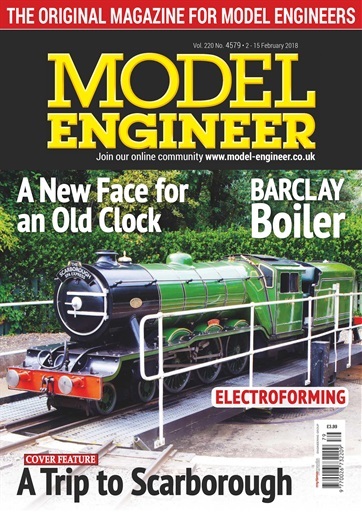 Our front cover features one of the railway’s steam outline, but Diesel powered, locomotives.